When buying a home, we offer you greater peace of mind and clarity on your purchase with a pre-purchase home inspection. 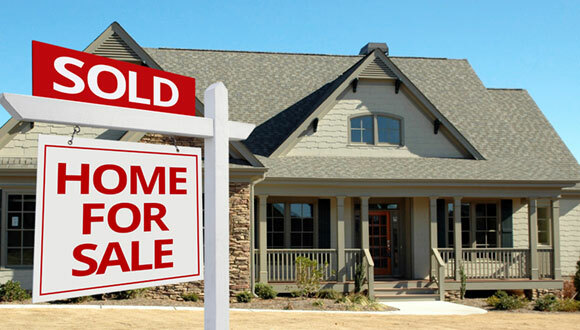 For sellers, we help to ensure a smooth transaction with maximum return with a pre-listing home inspection. Additional services include annual home maintenance inspections to ensure your home is in great shape. Purchasing a new home also means buying that home's problems. With a pre-purchase home inspection you can see exactly what you're buying. Problems discovered during the inspection could allow you to renegotiate to offset the costs of repairs — potentially saving you thousands of dollars. We'll even help you become familiar with the property. 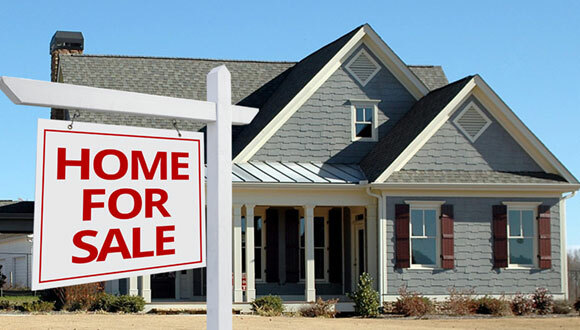 Sometimes selling your home can be just as much of a roller coaster as buying one. Getting a pre-listing home inspection can help ensure a quick and smooth transaction. You can enter the selling process with confidence that there won't be any nasty surprises. You'll also avoid delays, which could last for weeks or even months. An annual home maintenance inspection will help to identify potential problems before they can become major financial or safety issues. With a trained eye, we know where and how to look for problems that might go unnoticed for years. 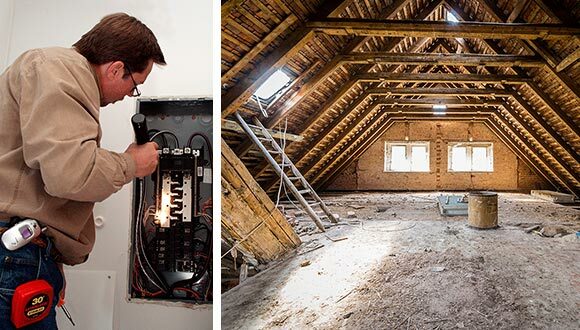 A home maintenance inspection covers common problem areas including the roof and attic, basement and foundation, grading and drainage, electrical systems, water heating systems, and much more. A 4-point inspection is often required by insurance companies for homeowners insurance policies, typically for older homes. The 4-point inspection is shorter than a full home inspection and assesses the condition of four vital systems of the home: HVAC (air conditioning and heating), roof, plumbing, and electrical. Check faucets and showers, looking for visible leaks as well as testing water pressure. Identify the types of pipes used, if visible. Identify the location of the main water shutoff valve. Identify the type of wiring, test all outlets and make sure there are GFCIs installed where needed to protect from electrical shock. Inspect the electrical panel for safety issues and fire hazards. Determine the age of the furnace and air conditioner, whether or not they function properly, and possibly recommend repairs or maintenance. Determine the age of the water heater and check for proper installation. We can also determine the condition and possibly give an estimated remaining life span of the unit. Check for proper ventilation. A poorly ventilated dryer exhaust can be a serious fire hazard. Test smoke detectors and ensure that the garage wall, if present, has the proper fire rating and is undamaged. Also check the fireplace for proper installation and maintenance. Check for visible leaks, properly secured toilets, proper ventilation to prevent moisture related issues, and more. If possible, check for structural damage and proper ventilation. Also check insulation and ensure that nothing is ventilated directly into the attic, such as the bathroom. Check for damaged or missing siding, cracks, and excessive soil contact which can be an invitation for pests. Check for possible foundation failure, indicated by cracks or settling. Check to ensure that the ground slopes away from the house, which prevents water from entering the house or causing damage to the foundation. If accessible and visible, check for roof damage or poor installation that may allow for water penetration as well as checking the condition of the gutters. Test the garage door for proper functionality, check for proper ventilation to prevent carbon monoxide poisoning, and check for risks of explosion from ignition sources too close to the floor. Do you have unanswered questions? Or are you ready to schedule your inspection? Either way, we look forward to hearing from you. 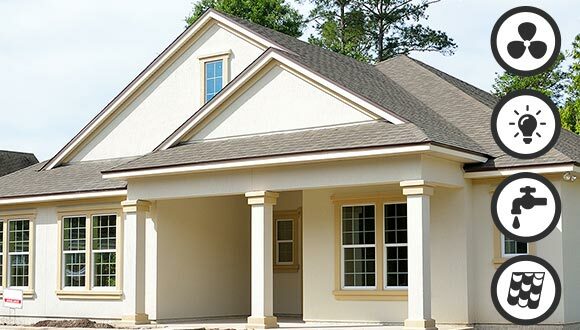 Legacy Home Inspections of Texas provides professional home inspection services in Houston and surrounding communities. Not sure if that's you? Give us a call at (281) 574-9373 or send us an email.